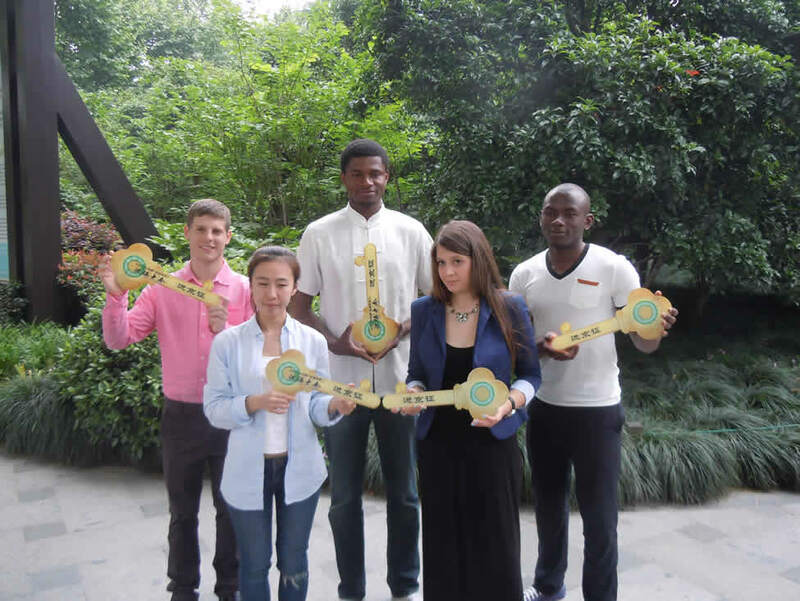 Through one year of rigorous studying George Borrelli improved his Chinese level from HSK 3 to HSK 6 and was rewarded for his hard work with a trip to Beijing to participate in the national Chinese Bridge Competition. Though Mandarin is difficult to learn, which may be a breaking point for some, we believe that if you stick with it and follow the right steps you too can speak, read, write and understand Chinese in a surprisingly short period of time. 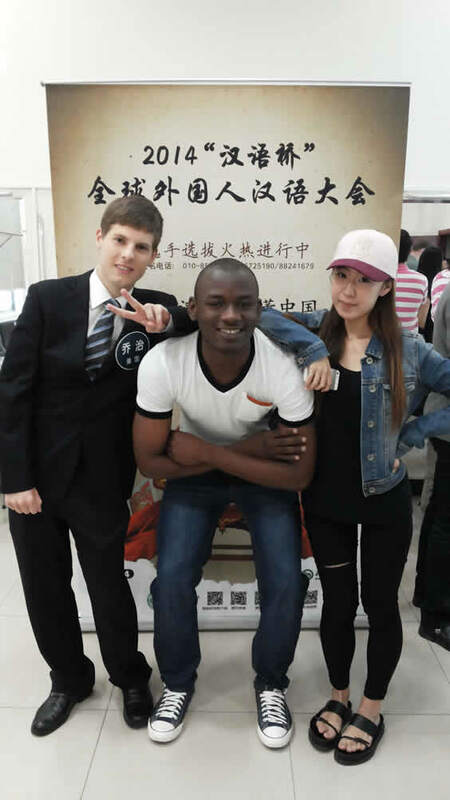 Having been officially placed in the top 48 of all foreign students of Mandarin in China George will share with us what he did in order to quickly and effectively improve his speaking. Speaking more is difficult to do at first. You are scared of making mistakes or not being able to say anything to the other person. If your Chinese level is very low, find someone who can also explain some things to you in English, but also has the patience to let you finish your sentences in Chinese and help you correct mistakes. People should correct your mistakes by repeating your sentence, but by using correct grammar, pronunciation, vocabulary, etc. The key is that they shouldn’t just correct the one word you got wrong; our brains need to hear the whole sentence over again with the correction in it. Speaking more means speaking more with native Chinese speakers in Chinese. Many foreigners get too comfortable speaking in their native language to other foreigners or Chinese people. You can’t learn Chinese by speaking English, German, etc.! If your Chinese level is good enough to handle it, join some clubs or events in which the participants are all Chinese people. I use a website called Douban to search for events that are going on in Hangzhou. I joined a few clubs: 暴走团 (Walking Club), Toastmasters, etc., and took every chance to host events (Talent shows, MiniTed). Throughout this process, you will become more confident in speaking Chinese and care less about making mistakes while still being able to learn from them, only more quickly. Last year I stumbled upon Chinesepod, and I think it is the best way to build up your vocabulary. It not only introduced useful new words along with Chinese culture, but it also allows for repetitive exposure of these new words through the use of dialogue and other example contexts which are explained by the hosts. If you can understand the context new words are used in and study sentences in which the word is used in, you will better be able to use the word at the appropriate time. You can even ask your friends to give you some example sentences when they try to explain a new word to you. You can also just listen to people speaking Chinese and try to understand how they use new words or grammar patterns. Reading out loud improves your pronunciation by forcing you to hear your own voice. If your Chinese level is good enough, you should be able to know if your tone was incorrect or the pronunciation was a little off. Just pick up a book that you can recognize most of the characters in and read. This also helps you to pick up new words through example sentences and contexts while giving the speaking part of your brain a nice stretch. Singing helps you compare your Chinese pronunciation to that of a native Chinese speaker. If someone mimics a singer, they will learn how to say the words in the right way faster than by only mimicking a speaker. Of course, this method can backfire if you mimic someone with a strange accent, like Jay Chou 周杰伦 (Chinese people can’t even understand some of his songs), so find someone with good standard Chinese pronunciation. Also, if you really dislike singing, you can just follow along and repeat the dialogues from Chinesepod, or have conversations in Chinese with yourself out loud when you aren’t doing anything. Don’t worry about people thinking you are crazy, just put a headphone in one ear and they will think you are on the phone. Studying words in ‘tonal pairs’ goes along with the idea of studying new words by using dialogues and example sentences. Tonal pairs are words comprised of two characters that may or may not have the same tones. The key here is that most Chinese words are made up of characters and you will be able to speak with better flow if you study how to say the full word, shifting from the tone of the first character to the tone of the second. You don’t even have to study particular words, just study each two character tonal combination: for example words with two characters that are the first tone (蜘蛛，歪曲,etc. ), words in which the first character is a third tone, and the second is the second tone (旅游，旅行,etc.). There are only 20 of these combinations, so it is not much to study. John from Chinesepod has written a good post about this on his website. Improving your Chinese is both easy and hard. It is easy in that there are only a few, simple steps that are easy to follow. The hard part is that you have to put lots of the time into studying, and have to study every day. I firmly believe that anyone can go to Beijing and take part in 汉语桥 if they put in enough time and effort. You can only get out what you put in. This entry was posted in self-study tips and tagged Chinese, mandarin, pronunciation, self study, speaking, Tonal Pairs, Tones. Bookmark the permalink.